If you're a Baby Boomer, you have changed music formats at least four times. What do all of these formats have in common? Concretely, I have my music. My iTunes songs are downloaded onto my mac and my phone. For some time now my kids have been trying me to move to a fifth format: Spotify. It's incredibly annoying to learn a new interface. Nothing pisses me off more reliably than getting an email that trumpets "announcing our new app design." But then I started getting multiple notices that my "iPhone storage is full." So grumbling all the way, I caved. I downloaded Spotify onto my desktop and my iPhone. I was nervous. 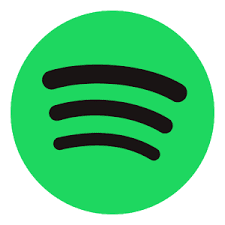 You see Spotify is a streaming service. That only works in wifi. I don't have my music - it's in the ether. The songs don't take up space on my iPhone. Did I mention that I caved?